Hi, guys. I recently inherited an E Lucky enlarger that I'm trying to adapt to fit a Canon T6 for use with enlarger and bellows lenses. I'm curious if anyone has any ideas on how I could rework the top side of the bellows to fit the camera. I'm very new to the dslr game so please forgive my ignorance. My idea was to add 35mm+ of extension tubes to extend past the battery compartment and then cut a plate to fit the bellows. I realize I need a tight fit to avoid vibration but I'm not quite sure how to go about it. Your opinions are much appreciated! I have a couple of those. They can be used for little vertical macro stands by removing the bellows altogether. I personally wouldn't bother turning them into useful extension bellows though. There are just too many cheap ones available used, or new things from the far east. Thanks, Chris. Any recommendations for a choice of bellows? I'm going to be shooting tethered in live view with a battery adapter attached as well. 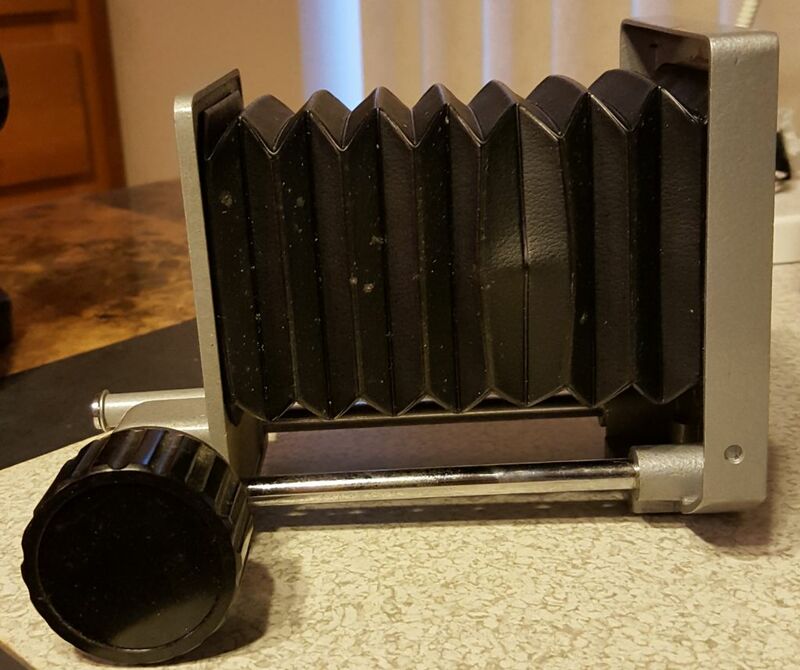 Would a focus rail and bellows be optimal? I'm just not sure which brand. I guess I could go with Canon but they're somewhat pricey. I bought a set for the same price in the UK. M42 to camera is cheap, and you probably won't be putting a regular camera lens on the front unless it's reversed, which makes the adapters easy to find as well. When you say "tethered"... well there are some Chinese adapter rings with connectors and a wire, I forget the name. Not sure what you intend. 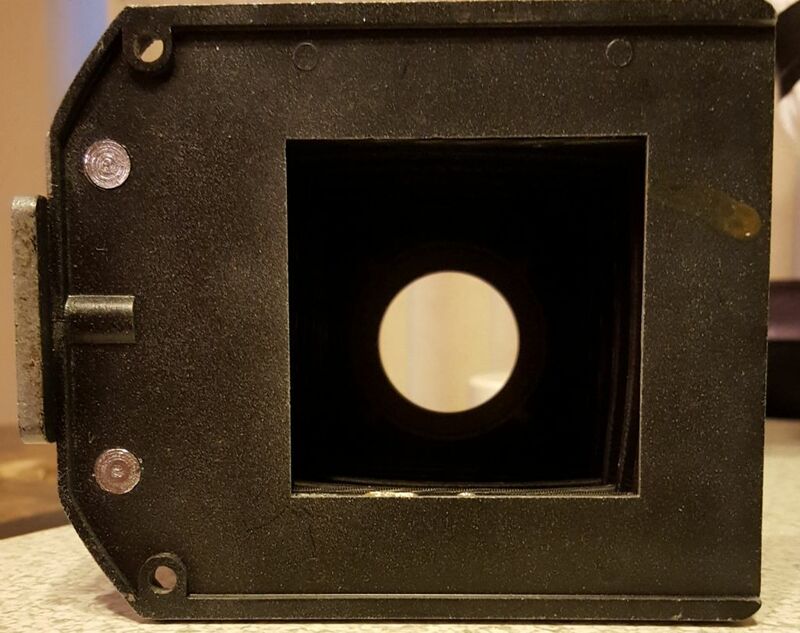 You could also look for Vivitar bellows. They did a few different designs, with various bits. It's handy if you have a focus rail build in like that Pentax one, and can move both standards along the rail. Many have an optional slide copier - it makes a subject holder for short lenses.